Do you identify with your characters? If you don’t, how do you expect your readers to? Well, OK, of course you identify with them. You write from life, don’t you? Some people say you should talk to your characters. I try, but most of the time they don’t answer. You remember Robin Williams and Jonathan Winters–it’s dangerous to get too far into your characters. But lately I’ve found myself talking like my characters, more than to them. It started with the ones on TV series or movies we watch on TV. What happens when you’re around people from a different part of the country, speak with a foreign accent or have a cultural vocabulary wholly apart from you. Do you become a verbal chameleon, emulating them? If you can do that, you can build better dialogue. You can better identify with your characters. Caution–be careful trying on the verbal tics of others, they might find it a tad offensive. Duh! OK, back to TV and scripted shows. Did you watch this year’s eight episode installment of “True Detective” on HBO. Outstanding for me and frustrating for her. The continual time shifting between 1980, 1990 and 2015 drove her crazy. Truthfully, I did find it confusing at times–OK, more often than I’d care to admit. All right, enough background–on to the writing tips (through the television lens). Wayne Hays, played by the outstanding Mahershala Ali, has episodes of dementia/Alzheimer’s in 2015. Watch those parts to see how you might write a character with that problem (or, heaven forbid, you have family or friends who have experienced either of these and you don’t need the show). He had attained that age in a man’s life when the hair on arms, legs and chest grows brittle and breaks off while other hairs sprout and flourish mysteriously from nose and ears. For more of this aging sketch, see the rest here. I would be remiss in failing to mention the irony. Wayne Hays spends much time digging deeply in the recesses of his mind for memories of the case that bedeviled his partner and himself. Things pop into his head that explain it all, better than Clarissa. So, as I am watching the show, Wayne’s walk takes me back nearly 50 years to Arthur Ballet’s class–a teaching moment that I clearly visualized. No, I’m not on the verge of Alzheimer’s but there was an odd sensation. A reminder of how amazing the human mind of memories is. You can find incidents in your life, moment by moment and day by day that will enrich whatever you write. Trust me on this. My reading goal for 2019 is thirty books–The Hat is a novella, a quick read. Get it here. A very funny and quick reading story. A creative writing showcase–with a magical and thinking hat that carries on conversations with the inheritor of it. As an author myself, I’ll take it as a good reminder of how to use my imagination to make even a very outlandish concept come alive. Also nice that it’s an afternoon read! With such a short review, here’s an update on my 2019 determinations (resolutions for those of you still calling your annual goals by that term). Despite obstacles that may arise–like an encounter with an unfriendly agave, I will not be deterred :). 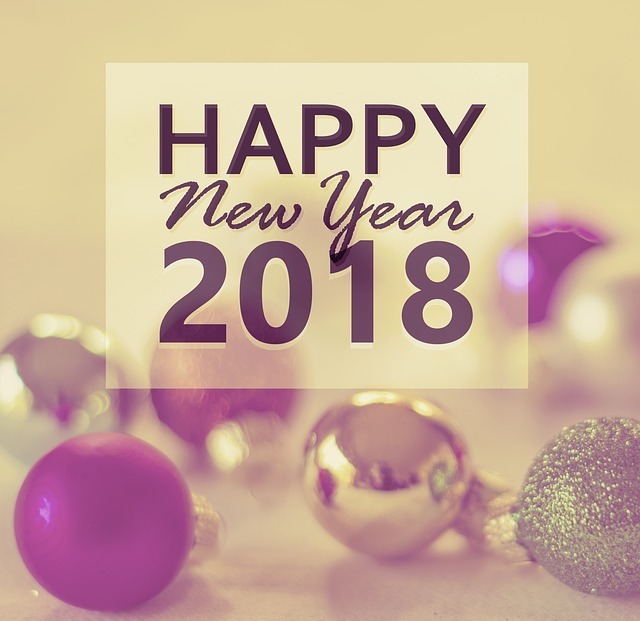 Best wishes to all of you in this New Year on achieving your goals! I’ve lived enough of them to know that some years are more challenging than others, even when they are successful. 2018 had only a few goals achieved. Various obstacles (mostly health) obstructed other objectives. More on that below. 2018’s off year won’t stop me from making and achieving some very ambitious determinations for 2019. 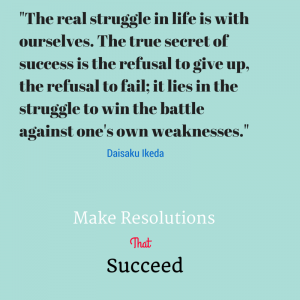 I will try again to make resolutions to succeed—more on that below as well. Before I let you in on some highlights for 2019, I want to thank those fellow writers and bloggers who steadfastly followed and commented on posts here, despite some lack of reciprocity on my part. That, by the way, is one of the major goals for 2019–connecting more with all of you in that group and supporting your own efforts. Mental fatigue impacted my writing—a CPAP machine helped but didn’t clear it up completely while doctors have no clue. A one-off cardiac event interrupted my writing agenda as well as other goals. After much testing—no invasive procedures were done. No new drugs and no changes in exercise were needed either. As the Simple Minds song goes, I am “alive and kicking.” I plan on staying that way for years to come. I’ve done as Ikeda urged and didn’t give up. Completing a two-year weight loss goal, 80 pounds off—I am not even overweight. By this he means use the practice first, not last. When medical treatment doesn’t cure a problem, then practicing one’s faith is a rational choice. Once I made a stronger, more focused prayer to be clear headed, the brain responded with focused energy much more of the time. My wife and I have achieved too many goals (that some might say were impossible) to list them here. You can find many of them in Waiting for Westmoreland. My recent reminder about the tired mind confirms that I can achieve victory in 2019. Whether you find Buddhism or any other faith a means for achieving success, having a clear process for accomplishing goals is essential. We’ve put these steps out in prior New Year’s posts, but here they are again. In case you missed this wonderful feature from Sally Cronin on her website, Smorgasbord–Variety is the spice of life, here’s a re-blog of what she said about The Fountain and my first book, Waiting for Westmoreland. Posted on July 18, 2017 by Smorgasbord – Variety is the Spice of Life. Welcome to John Maberry who is joining the authors on the shelves in the bookstore with two books.. One is his memoir Waiting for Westmoreland and the second, The Fountain, his recently released short story collection. Surviving poverty and the deaths of loved ones, the author remains hopeful as he exits childhood. then comes the draft that sends him to Vietnam. With innocence lost and illusions shattered, he seeks answers. College courses are intriguing but offer no solutions. Eventually, hope returns in the form of a life philosophy that comes from a chance encounter at a party. It’s all about cause and effect. Events happen not by chance but as a result of karma. Unseen connections have surprising consequences. This knowledge comes in the nick of time, as he faces his most serious situation since the perils of Vietnam, the threat of death from a prospective father-in-law. He must take responsibility for the matter, despite being unaware of the underlying reason for it, reform himself and seek only her father’s happiness. I’m apparently about the same age as the author and am always curious to hear someone else’s experience of the times I’ve lived in. In this case, Mr. Maberry and I couldn’t have lived more disparate lives if we’d tried. I don’t think I could have survived Mr. Maberry’s life and I appreciate his sharing the way his inner life as well as his circumstances have unfolded to this point. He survived things that have only scared me from a distance and he has achieved things I’ve only dreamt about from a distance. I’m so impressed with the way he has developed his life. I’m especially delighted to have read his account of his experience of the ’60s and ’70s, two decades I didn’t fit into very well. Like Forrest Gump, Mr. Maberry made me re-evaluate that era in a more favorable light. In fact, this book made me re-evaluate a lot of things. Even if this were a big book, I would highly recommend it. It would be worth your time. But it’s a small book and reads very fast. No matter what your own experience in life, I think you will find this book interesting and impressive, and it may just lead to a whole new life for you, a new awakening. 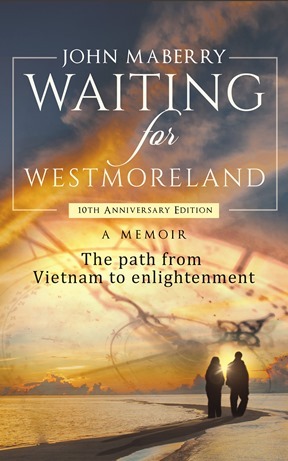 Waiting for Westmoreland is an excellent memoir of John Maberry’s life as a kid growing up in the Midwest, Vietnam War vet, ant-war protestor, law student, pot smoker, and devout Buddhist. The author offers a poignant and eloquent account of the events that shaped his life leading to his enlightenment through Buddhism. I was particularly moved and educated by his observations about the politics involved in the unpopular, yet long-lasting Vietnam War. The quality of the author’s writing is excellent – it is descriptive and clear. This independently-published work rivals the quality of work produced by the professional publishing houses. I found the story fascinating and it held my interest throughout. NOTE: I’m posting this review on the Kindle edition because that is what I purchased although I noticed that the paperback has several other reviews. The Fountain and six more fantasy & Scifi stories.